There are many aspects of success in a competitive MBA admissions process that don’t change whether we are in a boom or a bust, whether Wall Street is loved or hated, whether globalization is in vogue or not. For example, evidence of senior leadership responsibility successfully handled will never go out of style in a MBA essay. But there are also more transient social or business attitudes “in the air” in any year which the applicant should be aware of and ready to address in MBA application essays or interviews, in order to maximize chances of success. These may change every few years. In previous times times, key applicant success attributes have been pointers to future business success, or new venture creation, or raising shareholder value. The oath is the brainchild of a few HBS students, but has since been pledged by current and graduating MBAs from most major institutions and has garnered heavy media exposure, for example this story in Business Week and this audio clip in the Economist. “As a manager, my purpose is to serve the greater good by bringing people and resources together to create value that no single individual can create alone. Therefore I will seek a course that enhances the value my enterprise can create for society over the long term. I recognize my decisions can have far-reaching consequences that affect the well-being of individuals inside and outside my enterprise, today and in the future. As I reconcile the interests of different constituencies, I will face choices that are not easy for me and others. MBA applicants should take all this on board very carefully, and look for past experiences that resonate. Adcoms won’t be looking for these words and phrases exactly (to use them verbatim would be an amateurish mistake) but it’s certain that they closely agree with these statements in general, and will be looking harder than ever for people who appear to understand this side of business administration and who will stand up to ethical tests through their careers. Remember Adcoms have taken plenty of stick too for filling classes with greedy self-profiteers, and are under more pressure than ever to pick a better kind of person. Some of the Oath is just the usual good-citizen catechism: serving the greater good, demonstrating integrity, pursuing work in an ethical manner, balancing interests of shareholders, co-workers, customers and the society (triple or quadruple bottom line), not advancing ones own narrow ambitions, upholding the law, reporting accurately, and being accountable. 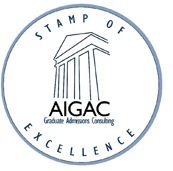 This is a good starter list of ethical attributes that many applicants will miss, but which provide subtlety and differentiation for applicants who understand them, and who can find evidence of them in their personal and professional history. Adcom members’ backgrounds and personalities – who are they really? 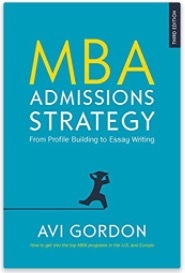 As an MBA applicant one of the things to get straight is who you are talking to, in general, when you write your essays. This doesn’t mean you should be looking to target or “game” your essays in a narrow sense. But getting your head around who is on the other end is a crucial part of your role in creating effective communication and therein getting admitted. Every admissions officer is different of course. But what they have in common is, well, it is unlikely that a person plans and studies for this career. Most come to it “sideways.” They typically have broad interests, are people-focused, and are good communicators. They have lived life in more than one industry and often more than one country. They are generally not business trained, although many have some background in HR or marketing. This makes the MBA applicant essay writer’s job harder and easier. It’s easier to engage an interesting person. Almost anything topic you raise will be “valid” for them. But it’s harder if all your stories are highly technical, or closely work-oriented. If your life experience or perspective is limited, and so your ability to reflect deeply and persuasively on your life and career path is therefore also limited, you’re not going to fool the likes of Mae Jennifer Shores.